The early stages of the empty nest experience can be a bumpy ride. When our last child leaves home, we can feel lonely, lost, sad, and even angry. We may also feel excited, relieved, and happy. If we can recognize that all the emotions we are having are normal, we can be one step ahead. I hope that by sharing my story and by sharing some tips for transition will help you find your way to a happy, enriched, post parental life. In the early part of 2004, my husband, two sons, and I were living in the Atlanta area. Our oldest son was in college and living on campus just 40 minutes away, and our other son was in his senior year of high school living at home. I had a part-time job that I loved and good friends nearby. I had purpose and balance in my life, or was at least working towards it. As life goes, things changed. By June of 2004, my husband had begun a new job so he and I moved to Hattiesburg, MS, our youngest son left for Marine Corp boot camp, and our oldest stayed in Atlanta to continue college. Suddenly, I was foot loose and fancy free. No job, no kids at home, no commitments. At first, it was exciting and I dreamed of all the possibilities and opportunities that can come with change. As the summer rolled by, I spent time working in the yard, sitting by the pool, reading, and thinking about where I would want to focus my energy when the summer was over. Maybe I could nurture my inner artist, go back to work, take some classes, or even travel to visit family and friends. I could be available to go on business trips with my husband. That summer, I felt very grateful in many ways. I had a very positive outlook, for about 2 months. Then, I began to lose momentum. I missed my friends, I missed my job, and most of all I missed being a hands-on mom. The reality that my sons were embarking on their own lives and were not coming home was sinking in. It seemed so sudden. I felt lost, sad and without direction. I didn’t know how to define myself any more. My husband, on the other hand, was enjoying his new job and would come home talking about it with energy and excitement. He had purpose, I didn’t. His enthusiasm was annoying to me, to say the least. Like most couples, life during our child raising years challenged our relationship. We enjoyed and endured 20 years of Navy life together with many separations due to deployments at sea. During those years, his time and energy went into his work, and mine went into the children and our home. We chose our lives to be this way. I had purpose and so did he. Following his retirement from the Navy, he began a new career which allowed him to be at home more. This came to be helpful, but let me just say that the adjustment challenging. He wanted to be more involved in decisions with our home and children, and I had a difficult time letting go. After all, wasn’t this my turf? For the next many months, I grieved. Some days were okay, others were pathetic. I would go to the grocery store, the mall, or a restaurant and see sweet little boys with their moms and dads and I would feel a deep void. I spent many hours watching talk shows and crying. There seemed to be an abundance of those shows where women had an “aha moment” and finally found their passion and purpose in life and were so happy. I would feel inspired by their stories and yet defeated because I didn’t have a story. So, I cried more. But I had hope. I had an intense desire to find meaning and purpose for my life. One day, I reached out to a new friend who had two sons the same ages as mine. Her youngest had just left for college to join his brother and she was feeling as lost and sad as I was. Together, Carol and I whined, complained, and wept about our “babies” being gone. However, we also painted, walked, had lunch, and laughed together. I needed her and she needed me. We were transitioning together. We contemplated ways to embark on our new lives. Go to work? Go back to school? Volunteer? Join the garden club? Start a little business? I was no longer alone with my thoughts and feelings. Slowly, I began to see things differently. I began to earnestly explore my options. I worked on figuring out who I am outside of my roles as mother, wife, daughter, and sister. I considered involving myself in things that challenged me instead of falling back on my comfort zone. It would be comfortable to get a part-time job in an office, stay busy, and meet people. However, I recognized I had an opportunity now to find a way to live a more purposeful life, something that would give me the same completeness of being a mother to my children. I was healing, and now I needed to grow. explore their worlds without my holding on, and believe me, I wanted to hold on. I began to see them as adults and to relate to them as adults. I also learned that having the children gone can bring you closer to your partner. We began to remember who we were as a couple before we had children. We recognize that now we have more time for each other. We travel, we sit on the porch and talk, we laugh, and we sometimes eat cereal in bed for dinner. Good times. First and foremost, know that feelings of loss and sadness are normal. It is a time of transition for you and for your adult child. Research shows it takes about 18 months to 2 years to adjust to the loss of children no longer living at home. Some parents can feel an overwhelming sense of grief and loss while others may feel relief, only to be followed by guilt for feeling this way. Parents who have devoted most of their lives to raising children may feel a great void in their lives and sense a loss of identity. Traditionally, this role has been experienced by women. However, in recent years, with more and more men finding themselves in the primary caregiver role, fathers may experience feelings of loss, sadness, confusion about their future role. Allow yourself to grieve. You may find yourself sitting in your child’s bedroom recalling all the memories of when they were little. Or, you may find yourself weeping a little when you see others with their young children. It’s okay. It’s normal. Reach out to others who may be going through the same experience. Talk to a friend or church member. Write down your thoughts and feelings in a journal. Talk to your spouse about your feelings. If you find that you are having an especially difficult time feeling any sense of joy, losing interest in things you used to like to do, or withdrawing from friends, find a counselor to help you get through the transition. Sometimes we just need an extra boost to help us through. Nurture your emotional and spiritual self. Devote time to your own wellbeing. It is likely that during your child rearing years you unwittingly neglected aspects of yourself. Perhaps you didn’t allow yourself the time and space to be introspective, to learn about what you enjoy or even what you need. Try a new activity to grow your creativity such as: painting, dance classes, quilting, wood working, genealogy, jewelry making, or gardening. Connect with your spiritual side by spending time with yourself doing things such as practicing meditation, journaling, or praying. Sometimes all it takes is just sitting in the yard in the sunshine and listening to the birds. Whatever you enjoy, take time to do it. Nurture your friendships. Schedule a regular game night with friends, start a supper club, or join a book club. Reach out to a friend for coffee or lunch. Find neighbors or friends to go for a walk together with. Nurture your physical health. Exercise is a great way to feel good about yourself. It can change your thinking to be more positive and can allow you to feel more confident and hopeful about the future. Start off small and try something new such as: hiking, gardening, yoga, dance, biking, or walking. Eat heart healthy meals. Nurture your marriage/relationship. Schedule time to be together which can be as simple as committing to have dinner together without the T.V. on so you can talk about your day. This is the time in your life when you do not have to worry about the kids, so make opportunities do things that were once more difficult like going on small weekend trips. Road trips are a great place to talk and dream about your future together. Once your last child has left home, you may look at your partner and wonder who they are. You may need to see each other with new eyes because it has been a long time since it was just the two of you. Take care to not encroach into your partner’s space as an attempt to fulfill the void that you may feel now that your children are on their own. If you find your relationship is hard to rekindle on your own, accept professional support through couples counseling to help identify problem areas and learn ways to move forward in healthy ways. Give your children wings. Not only do we as parents experience the transition of letting go, our children do too. Ideally, it is helpful to prepare your children in the years before they leave. Teach them how to things such as laundry, shop for groceries, cook, and budget finances. Knowing they are responsible for themselves will cut down on worries for both of you. That said, it is not the end of the world if they didn’t figure all of this out already. Encourage them call you if they need advice or help, but be sure you wait until they ask. It is time to relate to them in a different way, as an adult. Help your child to see the transition as a positive adventure that you are looking forward to. Your child may have their own feelings of worry, sadness, and guilt over leaving you. Reassure your child that you will be fine and are excited about their journey in life. Finally, be patient with yourself and your partner. Just as it will be challenging for your children to find their way in the world, so it may be for you. Take care of yourself, you are worth it. 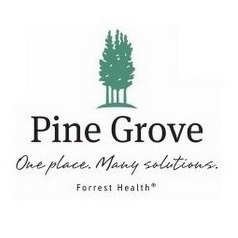 Kathy Coffman is a Clinical Therapist for Pine Grove’s Family Program which assists families in understanding addiction.